This project was completed for Walter A. Furman Company, an architectural millwork company in Fall River, Mass. 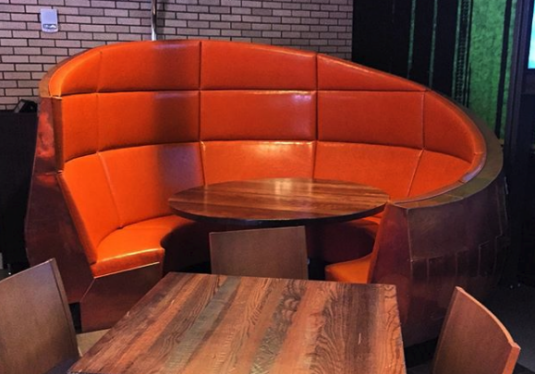 The surrounds were fabricated by Walter A. Furman and Furniture Concepts fabricated the interior upholstery for these huge round booths. The orange leather was very reminiscent of what you would find on a basketball. All of these pieces were fabricated to comply with CAL-133 fire code. 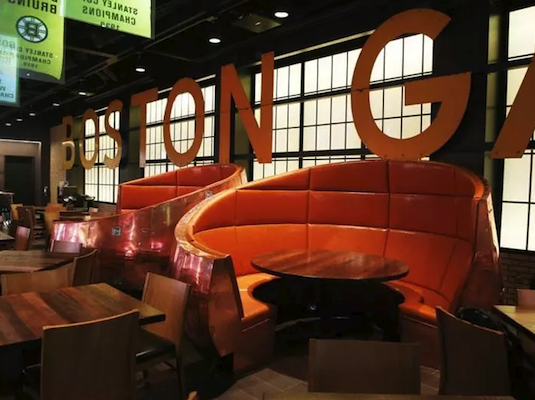 The Legends Club is for premium ticket holders at TD Garden, the home of the Boston Celtics (NBA) and Boston Bruins (NHL) as well as several concerts and other entertainment events throughout the year.